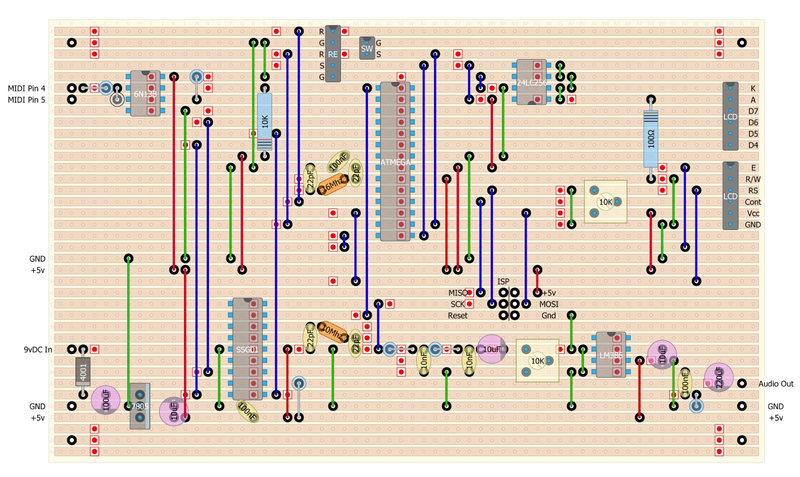 If you want to jump in and start building the NaV-1 Synthesizer, this is the place to start! If you would like to see the design process from the beginning go HERE. If you have been following the NaV-1 project over the last several months, you have seen the design slowly come together and hopefully gained some insight into the design process. There have been changes and re-designs along the way. Now the hardware part of our project is complete and set in stone. So lets build a final version. This is the only relatively hard to get component on this project. Therefore it should be the first thing you acquire. If you can't get your hands on one of these, this project is going nowhere fast. Please read this article about buying the chip. I have had great luck ordering through speechchips.com. I wanted this project to be build-able by anyone with a soldering iron and some motivation. So with that in mind, I decided not to use a custom printed circuit board (PCB) and go with an off the shelf solution. Stripboards (or Veroboards) are a great way to build up permanent versions of your electronic designs. If you've never used one, the video below is a great primer. Instead of writing a small novel on all the details of constructing this project, I thought it would be better to show you. The following video will show you in great detail the techniques required to build this project. It is also a good primer on Stripboard construction and electronics assembly in general. After you have completed the project build, this video will show you how to put the NaV-1 to use. Thanks Roy! I created the stripboard with a free program called diy-layout-creator (diylc). I have gone through your website. I saw affiliate ads, rather than becoming an affiliate i suggest you to introduce contextual ads in your web. More specs on the Capacitors please! They are hard to buy. Which caps are you having trouble finding? WoW! Dave! You've gone to all the hassle of building the module that I would have inadvertently built myself, in my effort to get some valuable usage from my recently acquired SoundGin! I Love this inclusion of your RAW Edit mode, an though I haven't gone to the data sheet to compare the chip's abilities with your well-planned parameters, it seems you're module grants access to all 100% of itself? I saw that this chip has a 'speech' or 'voice' mode, who's functions are geared more towards the language and speech side of things, and it's 'synth' mode really seemed to grant more flexibility in usage still. Is there any added benefit you could think of to add a switch between these two modes? Once more, AWESOME JOB! Keep up your delightful projects, it's keeping DIY alive!! 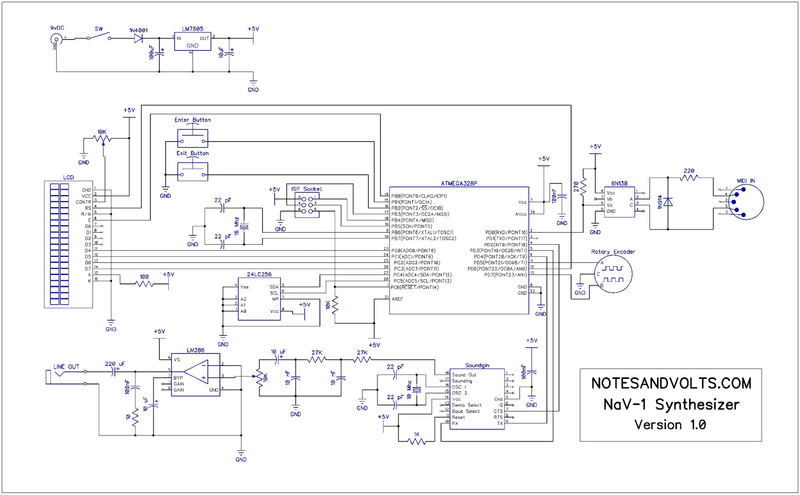 Can you please share the schematics as a Fritzing or Sprint Lay6 format?